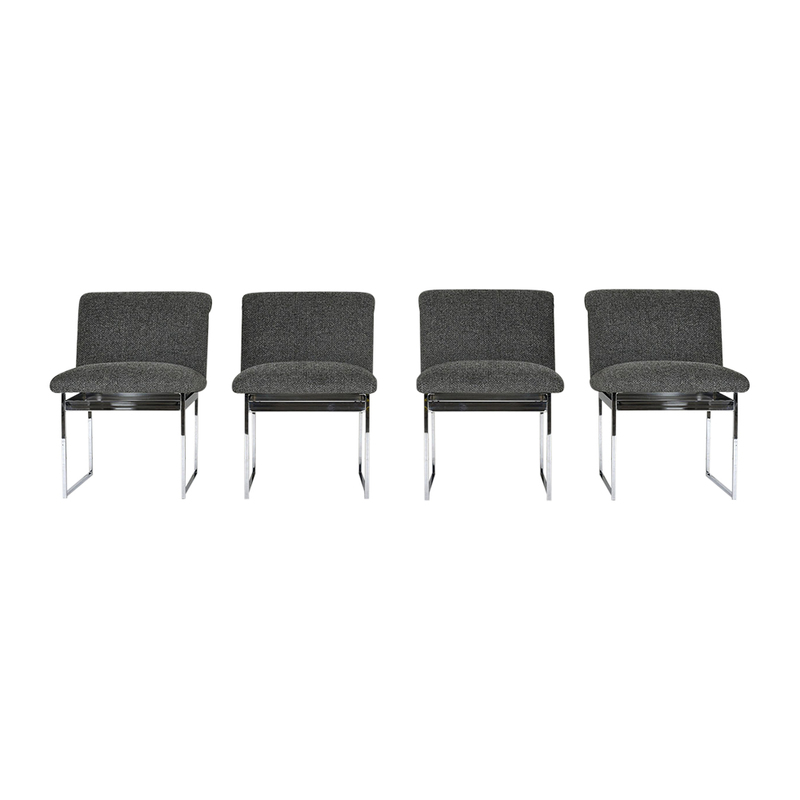 This set of four 1960’s Mid-Century Modern-style dining chairs are designed by Milo Baughman. 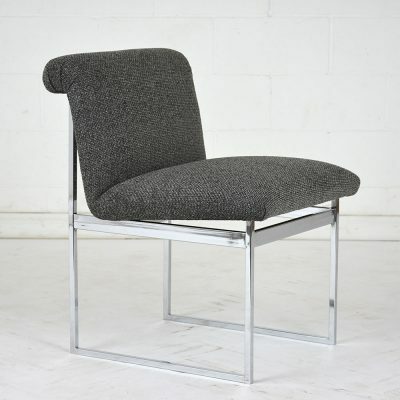 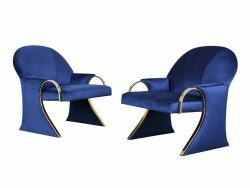 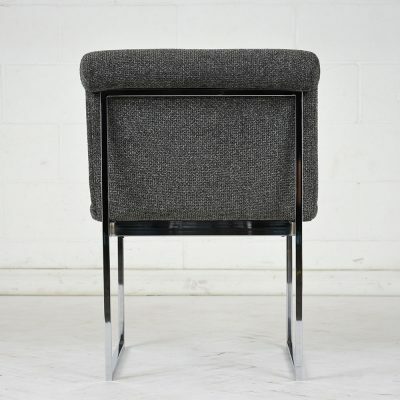 The chairs have a sleek chrome frame with professionally upholstered seats. 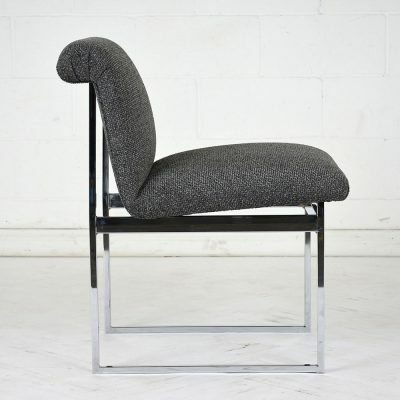 The seats have a scroll back with a heathered gray color fabric with a comfortable cushion. 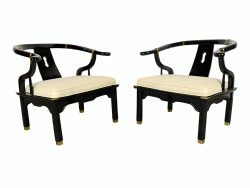 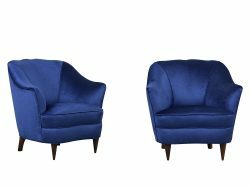 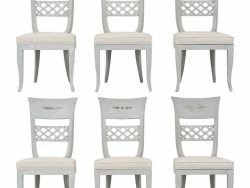 This set of dining chairs is sturdy, timeless, and ready to be used in any home for years to come.